Anthony Arashiro started training Ryuei Ryu in 1995 under Arashiro Kyoshi. 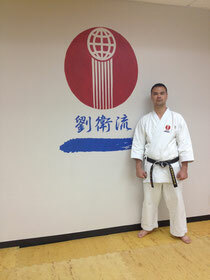 He received his Shodan (first-degree black belt) in 2001 and in 2009 he received his Ni-Dan. Anthony began to assist his father in the instruction of Ryuei Ryu at Eastlake Karate in 2011, and learn the way of the karate business from Edward Teeple. 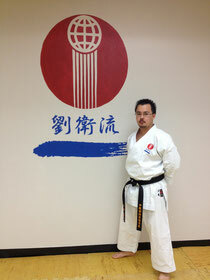 In August of 2012 Arashiro Kyoshi gave his part ownership of the dojo to him. Anthony Arashiro is also currently undergoing the pursuit of his Residential Real Estate Appraisal License. Edward Teeple has been training in martial arts for over 20 years. He began his martial arts training in Shotokan, and began learning Ryuei Ryu with Tomohiro Arashiro, the Pan-American Chief Instructor, in 2000. He taught students alongside Tomohiro Arashiro around the Eastlake community in high school gyms and afterschool programs beginning in 2002 before he opened a dojo with Tomohiro Arashiro in 2004 on Kuhn Drive in Eastlake of Chula Vista, CA. Together they instructed students for 8 years at that location. He began his partnership with Anthony Arashiro in 2012, and has been continuing to instruct students at our new location on Harold Place. Edward Teeple currently teaches our beginner, intermediate, and adult students. Aside from his martial arts career, Mr. Teeple works full-time as a Senior Consultant at Deloitte & Touche, LLP. He is married to Jennifer Teeple, the Eastlake Karate Manager, and together they have 5 children that also train and assist in classes at Eastlake Karate.